Show off your dapper style by wearing the Shamrock Suit Men's Costume during your St. Paddy's Day fun. 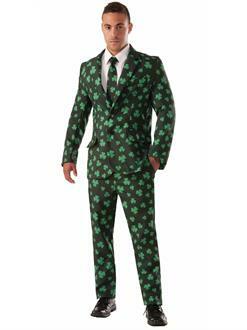 The outfit comes with a jacket, tie, and pants decorated in green shamrocks. Pair with a festive top hat the further enhance the look.